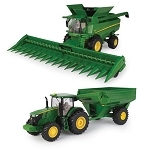 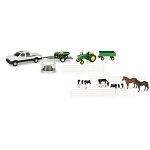 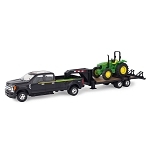 The set includes the 1:32 S680 Combine W/Draper Head, 4WD Tractor and a green grain cart. 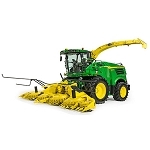 The draper head of the combine will rotate when the unit is pushed and the auger will move out to "load" the grain cart. 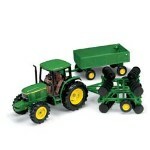 Compatible with other 1/32 scale tractors and implements. 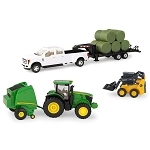 Q: Is this set die cast metal or plastic? 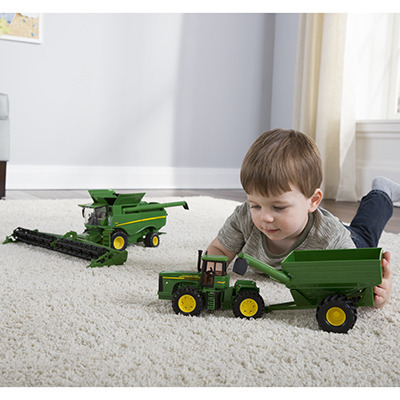 A: This set is made of plastic.